My child sticks out his tongue when he swallows. Why? Your child may have a condition known as tongue thrust. Tongue thrust is the common name for a disorder in which a person pushes his tongue against or between his teeth during a swallow. 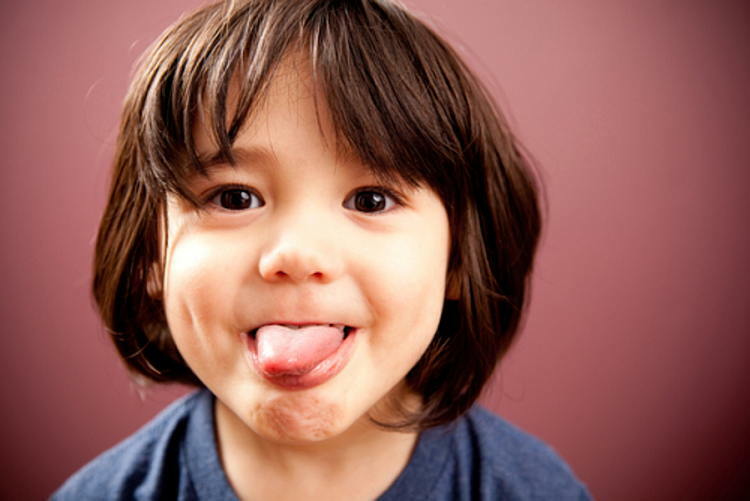 Tongue thrust can affect children, adolescents, and adults. Some of the most common causes of tongue thrust include infant feeding difficulties, enlarged tonsils or adenoids, sucking on thumbs or fingers, mouth breathing or other genetic factors, such as abnormal dentition. How can I tell the difference between a normal swallow and an incorrect swallow? A normal swallow includes precise movements of the tongue, teeth and facial muscles. In a normal swallow, the tongue tip is raised to a spot behind the front teeth. The rest of the tongue is pushed up against the roof of the mouth, trapping food and liquids. The back teeth are together, and the swallow is accomplished without tensing of the facial muscles. Any deviation from this is an incorrect swallow. What clinical procedures are done to diagnose tongue thrust? 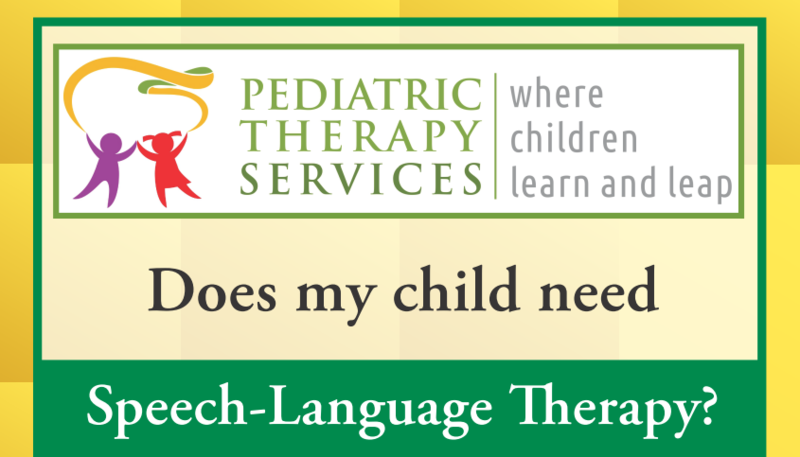 A trained speech-language pathologist (SLP) examines the child’s oral structures and tongue positioning during rest, swallowing and speech. 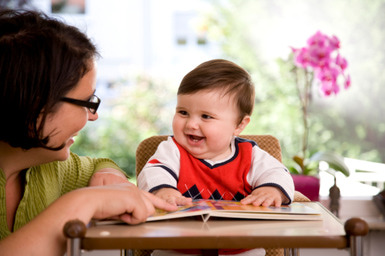 The SLP also performs a case history to see if any associated oral behaviors are present. Therapy for tongue thrust is divided up into 12 lessons. The first five lessons are used to train the different muscles of the swallow to obtain the correct resting pattern and placement. Lessons six and seven teach the child how the correct swallow is performed. The last four lessons teach the child how to make the normal swallow a habit. The first eight lessons take place once per week for 30 minutes. The last four lessons take place every two weeks. After the 12 lessons are completed, the child should be seen every 3-6 months for two years. At the end of the treatment, if the child is still producing articulation errors, additional speech sessions may be recommended. The holidays are just around the corner! One of our speech-language pathologists compiled a list of books and toys that would make great gifts and also help to promote speech and language development. 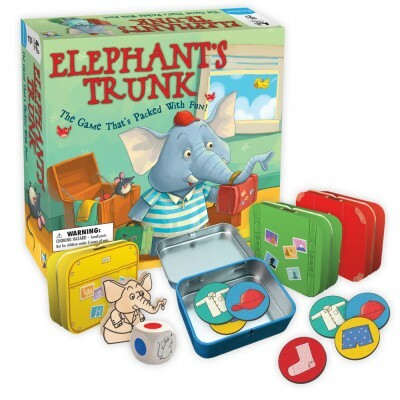 Also check out this website recommended by one of our parents: www.fatbraintoys.com. They have a great search engine to find the perfect gift. You can search by gender, age, price, categories (books, games, puzzles, etc. ), and interests (dinosaurs, fairy tales, science). It’s that time of year again, when we get to celebrate all our blessings throughout the year. Holiday season is a fun time to enjoy and show love to our family and friends. This time can be so stressful to find the JUST RIGHT gift for our little blessings with varying talents. Push toys or kid shopping carts: These are motivating for children learning to walk or children who seek heavy work through pushing objects. Developmental age 12 months and up. Kinetic sand: This is perfect for kids who love messy play. Developmental age 2 years and up. This sand-like material molds and sticks together similar to playdough but feels like sand. 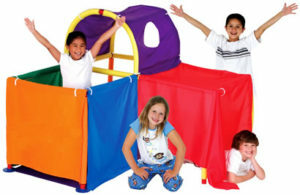 Tents or Cranium Super Fort Building set: A great, fun escape for a child who is overstimulated by their environment. Developmental age 3 years and older. Perler beads: Small beads that you can place on boards to form different art projects, shapes, or patterns. Appropriate for children with a developmental age of at least 5 years old, who do not place objects in their mouth. Scratch N’ Color: A great way to incorporate drawing and tool use without having to do writing. Kids can draw pictures on black paper using a small wooden dowel that scratches off to reveal colors underneath. Appropriate for developmental ages 5 years and older. Bath time squeeze toys or cups: Practice pouring and squeezing during bath time. Developmental age 2 years and older. Be sure your child can sit upright or is fully supported when incorporating fine motor play during bath time. 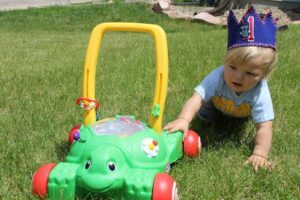 Busy Ball Drop: Working on grasp/ release with your child? Get a toy that is visually fun when a child releases the ball into it. Add a toy hammer, and you just included tool use in the fun. Legos or building blocks: They make all sizes and types depending upon your child’s developmental age and if they place objects in their mouths. You can start your child with Mega blocks around the developmental age of 11 months. Include bubbles and all kinds of whistles as stocking stuffers. These are great to improve your child’s breath control, work on deep breathing, blowing, and possibly decrease oral sensitivities. Dress up medical kits: Your children have so many medical appointments; allow playtime to include doctor play and dress up to help decrease anxiety during these times as they begin to understand more about what doctors/nurses do. Spot It!, Blokus, Rush Hour Jr, Head Bandz, Tapple, Mouse Match, Scatterpillar Scrabble, Diggity Dog, Don’t Break the Ice: All games for children with a developmental age of at least 4 years. Some rules may have to be adapted depending upon your child’s level. All of these games are easily adaptable. The Physical Therapy Services team would love to discuss these and other ideas with you as the shopping season comes upon us. Also, see our Gift Giving Guide located in the lobby of both of our clinics for more ideas.